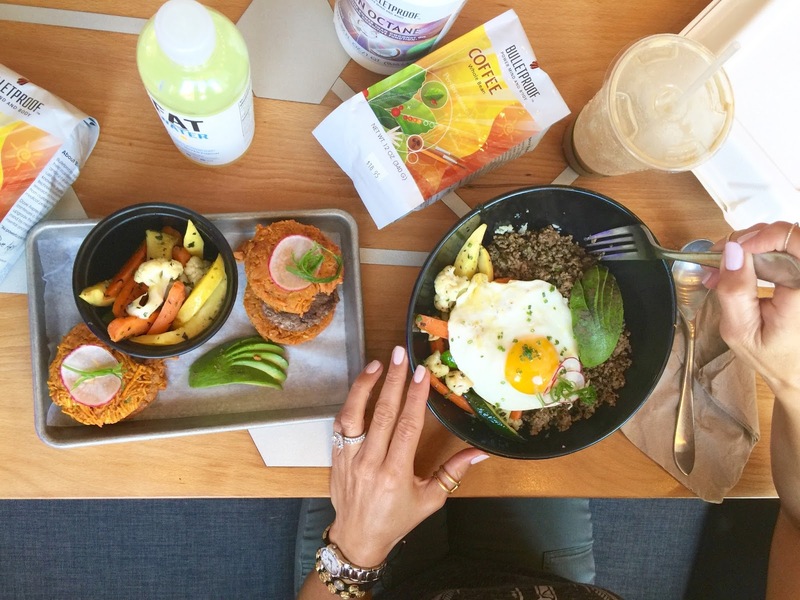 The Bulletproof Coffee Shop and Cafe in Santa Monica, CA is not just for upgraded coffee. They also have a full breakfast, lunch and dinner menu - all Bulletproof, of course. Grass-fed beef, pastured eggs, organic veggies and cauliflower rice are the types of foods you'll find on the menu. Everything is cooked to perfection at low temperatures to preserve its nutrients. And if that weren't enough, you can stock up on your favorite Bulletproof supplements and supplies while you're there, too. A few of my personal "staples" are: Bulletproof Brain Octane, Bulletproof Collagen Protein, Bulletproof Glutathione Force and the Bulletproof (low toxin) Coffee Beans. 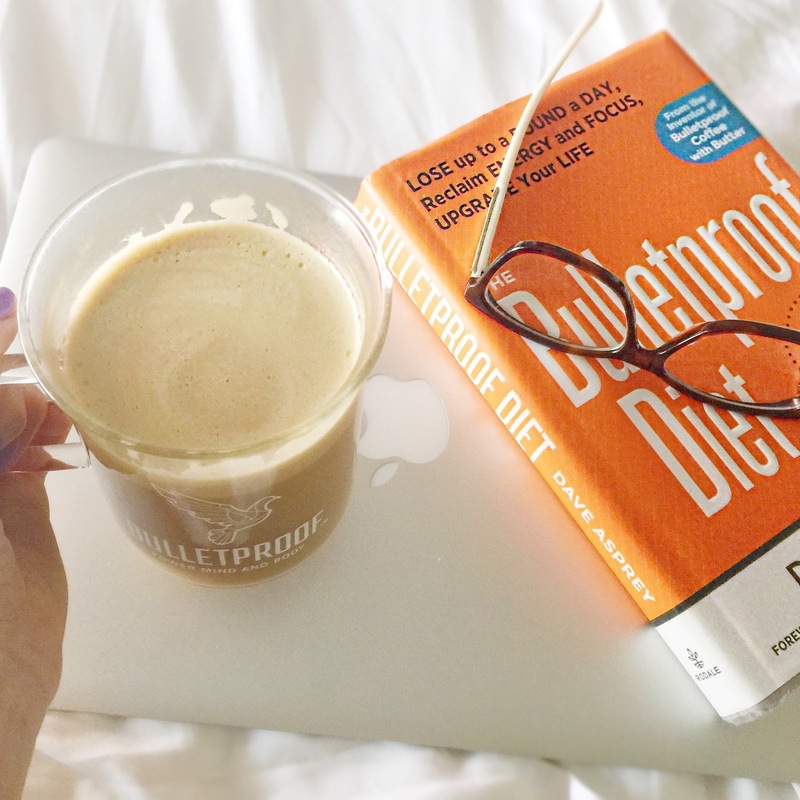 The Bulletproof Diet has transformed the way I think about food - in a good way. Actually, in a great way. You can check out the book by ordering it on Amazon, through www.bulletproof.com or just drop by the shop at 3110 Main Street, Santa Monica, CA 90405 and peruse one while you enjoy an amazing cup of Bulletproof Coffee. PS - I did a live broadcast from the Bulletproof Coffee Shop and Cafe today on Periscope (the live-streaming app by Twitter), but there was a glitch in the app and the Katch.me app, too, so my scope didn't properly record. I was able to save it to my phone and upload it to YouTube but it's missing the comments, sign-ins, etc. that you normally see onscreen during a scope replay. Lastly, since going Bulletproof about six weeks ago, I have also experimented with fasting which has been incredibly eye opening for me. There are many well-documented health benefits of fasting, not to mention weight loss/weight management. I have seen amazing results! I plan to do a scope on that soon and will invite you to join me to discuss. I'd also love to hear your thoughts and questions about Bulletproof if you've tried the coffee, read the book or have just been curious about what all the fuss was about. Please leave me a comment. I read and respond to them all. Note: This is NOT a sponsored post. These are my personal opinions which can never be bought or sold. That said, I will always let you know when a post is sponsored. This one is not.